Sun Protection and limited sun exposure is essential against premature aging and skin cancer. Statistics show about 90% of non-melanoma skin cancers and 65% of melanomas are linked with UV radiation from sun exposure. Sun damage is cumulative over the years and applying a sunscreen that protects against both UVA and UVB rays is ideal. UVA (ultraviolet A) is a long radiation wave that causes skin damage, aging and possible cancer. UVB (ultraviolet B) is a shorter radiation wave that causes sunburns, skin damage and possible cancer. SPF or Sun Protection Factor is a may of measuring the sunscreens ability to protect the skin from UV rays. It takes approximately 20 minutes for the skin to begin to turn red unprotected. 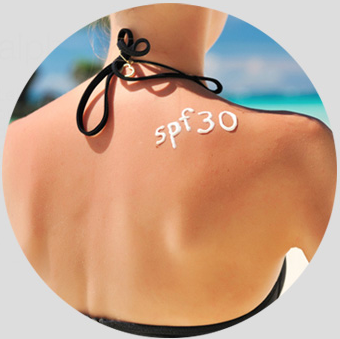 When using a SPF 30, it prevents the skin from reddening 30 times longer and filters about 97 % of the UV rays. However factors such as, swimming and sweating may remove the sunscreen coverage and reapplication during and after any outdoor activities is highly recommended. Lelexo developed its Sunscreen Moisturizer SPF 30+ with specially formulated agents providing coverage to protectant and moisturize the skin while maintaining the skin’s youthful look now and in the future.